We are BIG salad eaters at our house. It’s a rare occasion when our first course is not a heaping dinner plate full of local greens and veggies tossed with a home blended dressing. 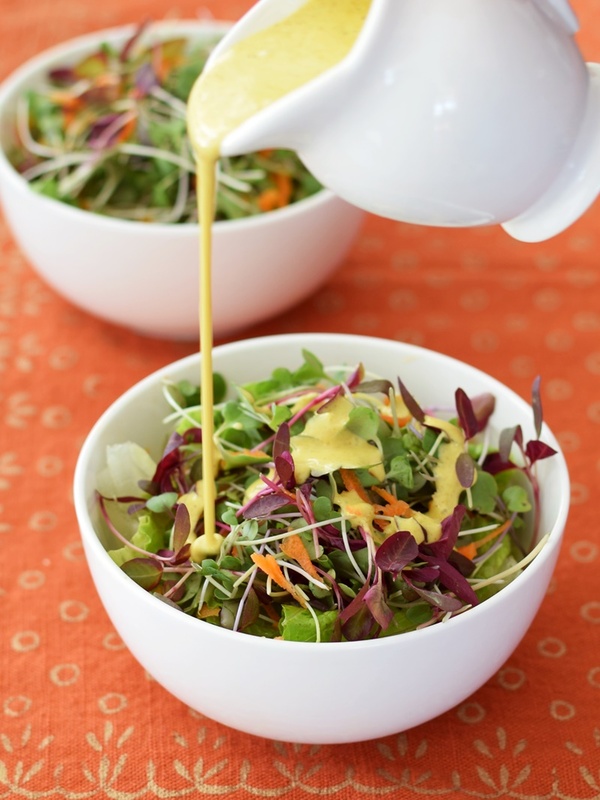 When we have guests it is always the salad dressing that they want to know more about. I have to admit I make mine purely from inspiration based on what combination of ingredients I have on hand and you can do this too once you have some basic formulas. That’s why I love these three straightforward nut-based recipes offered on Helyn’s Healthy Kitchen. Use these recipes to get you started and keep these fresh extras on hand so you will have a variety of options to experiment with: scallions, cilantro, parsley, basil, dill, lemons, limes and oranges. In addition to adding to your intake of greens, beginning your evening meal with a raw salad is a delicious way to aid lymphatic cleansing into the evening to improve your digestion.